Today’s Audible Daily Deal is perfect for anyone fascinated by the rise of tech stars who seem to come out of nowhere to create companies and websites that become overnight sensations. Alex Karp: An eccentric philosopher with almost no tech background turned a Peter Thiel -backed venture, Palantir, into a data-mining champion, with clients like the NSA, the FBI, and the CIA. Amid heated privacy concerns, Karp continues to grow Palantir like crazy, to $196 million in funding and an estimated $1 billion in contracts in 2014. You Only Have to Be Right Once: The Unprecedented Rise of the Instant Tech Billionaires is the definitive collection of everything we can learn from these incredible game changers and what their next moves spell for the future of business. 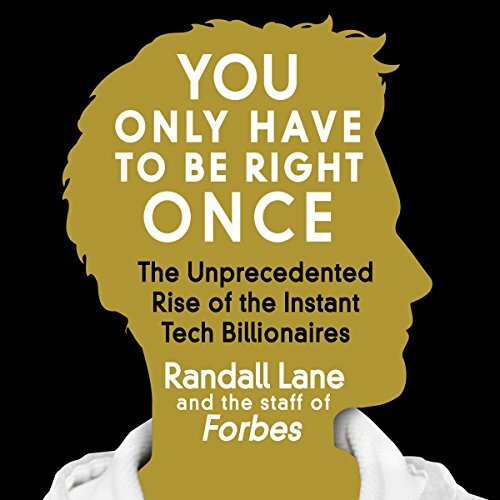 The post Nonfiction Audible DailyDeal: You Only Have to Be Right Once: The Unprecedented Rise of the Instant Tech Billionaires appeared first on Kindle Fire on Kindle Nation Daily.